BarCamp Prishtina #2 brought together innovative people with pioneering ideas who inspired around 80 participants who joined us in the bar “Outback”. Unlike the first BarCamp, this time the audience seemed more diverse and more willing to engage in debate. Presentations during BarCamp #2 were: GAMES department in Frakton, leadershqip.com and Internet Exchange Point. Alket Rexhepi, Floriment Klinaku and Agron Fazliu were the guest speakers who again dedicated their time and energy to the BarCamp participants. The main subject during the presentation of representatives of Games’ department in Frakton was their experience during the creation of a game, their difficulties, achievements and plans for the future. 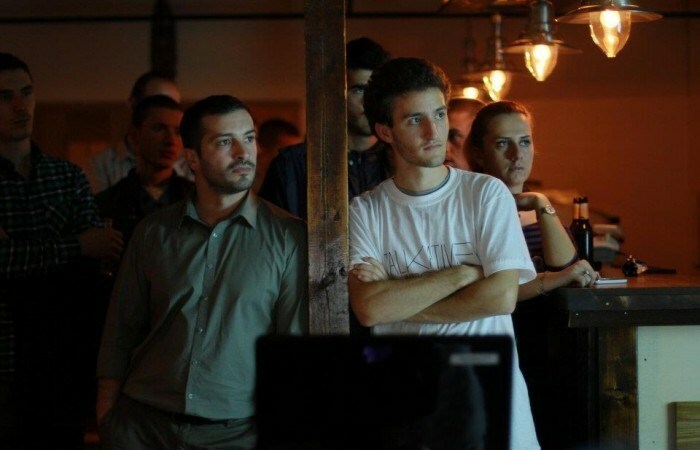 BarCamp was the right place for them to present for the first time one of their new games, and also to speak about the story behind “Haluci” in Facebook. During their story, this group of students used the BarCamp scene to represent their work on leadershqip.com, what motivated them to create a community to develop their practical skills and their ongoing projects. They also commented on the challenges that public university students face and some issues about copyrights. Fazliu, who helped Regulatory Authority of Kosova to create an Internet Exchange Point (IXP), spoke about the IXP project, why it is important for Kosova, what his contribution were and also other issues related to the subject.